Who remembers the age of conspicuous consumption? Of look-at-me trophy shopping trips on Bond Street, Patsy and Eddie style, expensive bags clacking together like vast upmarket conkers? It all seems a little tasteless now, post crash; all a bit crass. But while the Guardian reading chattering classes may be spending their precious cash on single estate, organic flat white coffees brewed by earnest young men with awkward beards, the Chinese flock to the West End in droves. In this hunting ground, there are still big game prizes to be bagged; another Vuitton clutch, or Chanel bauble. Scarily young millionaire industrialists stroll around Selfridges with their Louboutin heels clacking on the Weston’s marble. Coaches ferry the faithful to Bicester Village where picking up bargains is easy as catching a fish at a trout farm. But scratch beneath the surface of the great Chinese success story, and conflicting pictures emerge. I recently had a visitor to my showroom. He didn’t speak much English, so my friend Terence from Hong Kong translated. In his 20s, he’d founded a chain of fast fashion, mid market stores in one of China’s vast ‘secondary cities’. Now with 40 branches, he was looking West for brands with heritage, but not out of reach for ordinary Chinese. ‘Why has he been so successful?’ I asked Terence. The reply was interesting. ‘Because of the crackdown’, he replied. It was only a brief news story here, but has had huge repercussions for all Western brands trying to enter the Chinese market. The new President, eager to stamp both his authority, and stamp out corruption, banned ‘gifts’, hitherto an essential part of doing business in China. Instantly, it became not only illegal but downright dangerous to offer a MontBlanc pen, or Tag watch to oil the wheels of a deal. So instead of spending their money on high end goodies, they’re spending at Mr Zheng’s stores. Sure, there are some clients still shopping in the glitzy malls on the Bund, but they’re asking for a plain carrier bag when they leave the store. 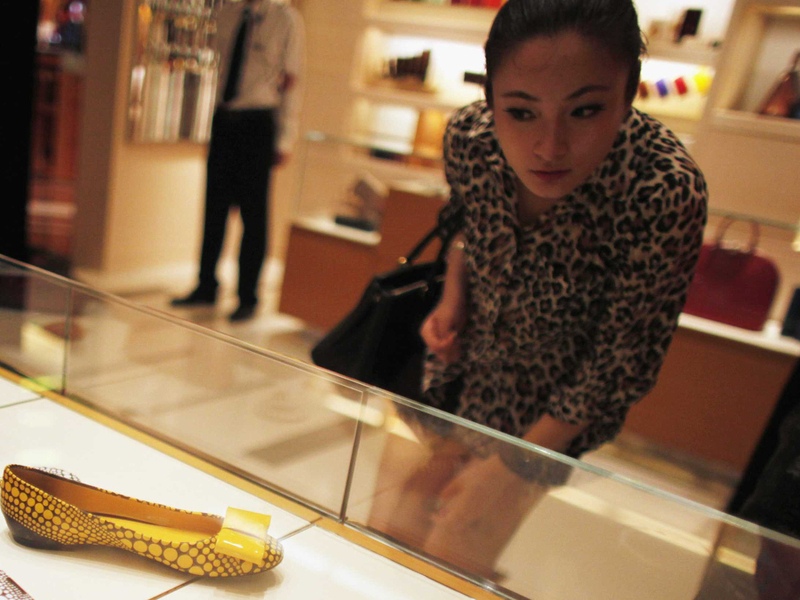 In China, there is now an age of inconspicuous consumption and it should worry us all.